THE EVENT IS SOLD OUT. NO TICKETS WILL BE AVAILABLE AT THE DOOR. Discourse is pleased to partner with RISC (Reporters Instructed in Saving Colleagues) to host the first-ever Right Proper War Correspondents on Tuesday, February 2nd with best-selling journalist Sebastian Junger (The Perfect Storm: A True Story of Men Against the Sea, “Restrepo”) and award-winning VICE on HBO correspondent Ben Anderson ("The Battle for Marjah," "Holidays in the Axis of Evil"). Anderson will screen some of his work on the front lines of Iraq, Syria, Yemen, and Afghanistan and discuss with Junger the challenges of foreign reporting. Each ticket buys your first beer of the evening and provides much needed funds to RISC. Come early and stay late to mingle with the featured speakers and other guests. Must be 21 or older to attend. 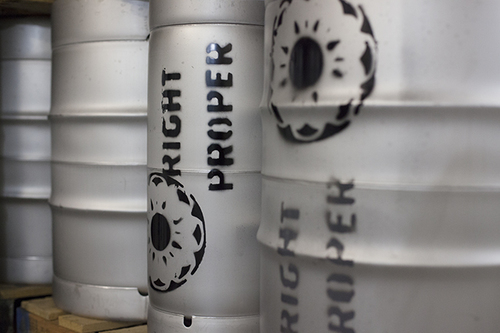 This is the premiere event held at Right Proper's new Brewery and Tasting Room, a 6.3k sq. ft. industrial bakery turned brewhouse in Brookland. More details about the event space below. Ben Anderson is a journalist, documentary filmmaker, and author of the 2012 book No Worse Enemy that chronicles his experiences in the war-torn southern provinces of Afghanistan. Anderson has spent the past 9 years covering the war in Afghanistan and recently won a Frontline Club Award and a Beyaux-Calvados award for "Mission Accomplished? The Secret of Helmand" and "This Is What Winning Looks Like," a feature-length documentary he produced with VICE that focuses on the problems arising from the American and British troops' withdrawal from Afghanistan. A veteran documentarian with a career spanning almost two decades, Anderson has presented numerous films and series for the BBC and the Discovery Channel. He is also a recipient of the Foreign Press Award. Ben is currently a correspondent and senior producer for the Emmy award-winning current affairs program - VICE on HBO. Sebastian Junger is a freelance journalist, documentarian, and best-selling author of The Perfect Storm: A True Story of Men Against the Sea, War, A Death in Belmont, and Fire. He has covered major international news stories since the early 1990s in combat zones around the world including Bosnia, Liberia, Sierra Leone, and Afghanistan. He is a contributing editor to Vanity Fair and his work has also been published in Harper's, The New York Times Magazine, National Geographic Adventure, and Outside. Junger's documentary "Restrepo," which he co-directed with friend and colleague Tim Hetherington, won the 2010 Grand Jury Prize at the Sundance Film Festival and was nominated for an Academy Award. In 2013, Junger directed "Which Way is the Frontline From Here? The Life and Time of Tim Hetherington." In 2014 he released "Korengal," a sequel to "Restrepo," and "The Last Patrol." 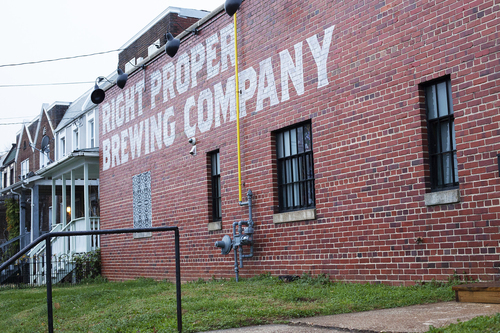 Right Proper Brewing's Production House in the Brookland neighborhood of Washington, D.C. has opened its doors for the event. Grab fresh Right Proper beer straight from the source in their Tasting Room and head back to the production floor for the screening amongst the brewing equipment. RISC provides first aid training free of cost to freelance journalists working in all media – photography, print and broadcast – to help mitigate the many physical threats they face in the field. Journalist Sebastian Junger founded RISC after his close friend and colleague, acclaimed photographer Tim Hetherington, died from wounds he suffered in a mortar attack while covering the 2011 conflict in Libya. Hetherington’s injuries were serious, and none of the journalists traveling with him were trained in the life-sustaining first aid techniques that might have saved his life during the short ride to the hospital. Since RISC’s first medical training in April 2012, it has received over 500 applications from untrained freelance conflict journalists around the world. As of December 2015, RISC has trained a total of 264 journalists.